Our product range includes a wide range of air receiver, ms vessel, cryogenic vessel, storage vessel fabrication, filter vessels and filter housing. We have over 30 years of rich experience in the design and manufacture of MS vessel. 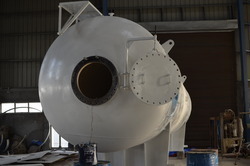 Besides design and manufacture, we have the additional experience of operating carbon dioxide storage tanks and this gives us the leading edge with technical expertise along with practical experience of using the types of equipment. Our intricate design is the outcome of our experience in operation of these tanks. We have over 30 years of rich experience in the design and manufacture of Storage Vessels. 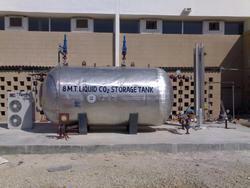 Besides design and manufacture, we have the additional experience of operating carbon dioxide storage tanks and this gives us the leading edge with technical expertise along with practical experience of using the equipment. Our intricate design is the outcome of our experience in operation of these tanks. 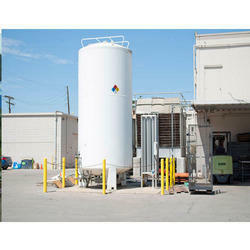 Our company manufactures, exports, and supplies a wide range of Pressure Filter Vessels. 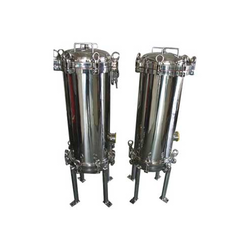 These Pressure Filters Vessels offered by us is of premium quality and used in various industrial processes.As these are backed by latest technological support, these also ensure the fluid lines function more productively and effectively in comparison to other filter vessels as available in the market. Here, With our expertise to match up with the ASME code requirements, we can offer these in both single hole as well as multi-hole filters. Further, our expertise also lies in custom designing. These vessels as per different international and other regulatory requirements. With the available Filter Vessels as well as associated assemblies designed for achieving high performance as well as reliable functioning in form of removal of water using water filter housings, Particulate as well as other contaminants from turbine/other lubricating fluids, some of the standard options offered here include. Bag Filter Vessels feature single gasket sealing. These come with permanent piping as well as perforated metal baskets. These are best choice for durable as well as consistent performance. Cartridge Filter Housings are constructed in different piping sizes. These can be offered in different connection styles as well as materials. We hold expertise in evaluating customer’s specific needs and then determining ideal size cartridge filter housings for particular flow applications. Solutions offering cost-effective operation of filter vessels. 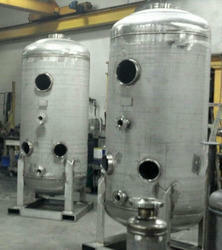 These are used in final filtration stage for filling lines. These are lightweight as well as can also be easily maneuvered. High Pressure filter vessels for use in cations and anions applications. These are best choice where space is a concern.